Pronounced ray-key, it is a Japanese technique used for stress reduction & relaxation that promotes healing. Discovered in the early 1900s by Dr. Mikoa Usui, Reiki is administered by the "laying on of hands" and other similar techniques. Reiki has been practiced for thousands of years. It is a special kind of healing energy that can only be channeled by someone that has been attuned to it. Contact the Practitioner Kim Barrett by email to book your appointment. 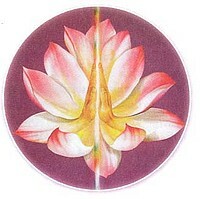 Reiki works in harmony with all other kinds of treatment. It acts to reduce negative side effects, shorten healing time, reduce/eliminate pain, reduce stress and help create optimism. Reiki is a complimentary therapy that can be used in a personal wellness or healing program. Aside from private practice, Reiki works along side health-care and natural remedies and is used in hospitals and hospices. Ultimately, reiki harnesses the life energy that is guided by the higher power.